Deus unveils its latest creations, the TTT. Custom motorcycle maker, Deus EX Machina, uses a Triumph for its latest creation. Using a Bonneville T140 takes its inspiration from the TT racers of the past, with considerably serious upgrades. Though the hand-made TT-style tank and rear fairing are part of the upgrades, it the suspension and motor that really make this. 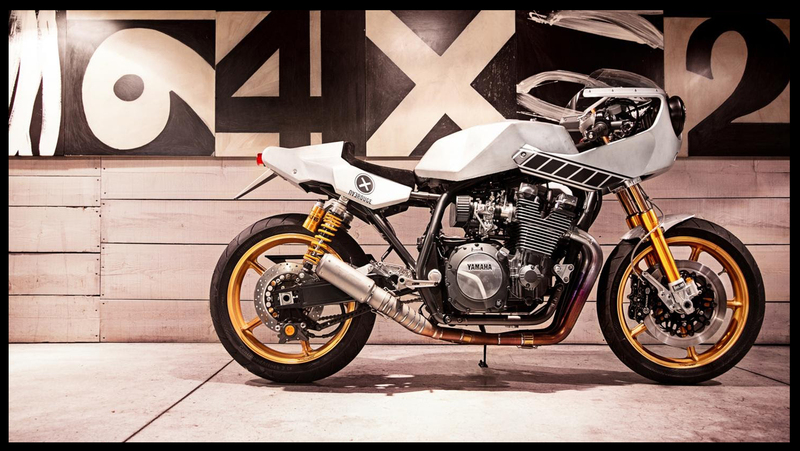 The Ohlins forks and a custom monoshock rear suspension keep the motorcycle sturdy. The centerpiece is the glorious parallel-twin, 750cc engine. Ported, polished, with strengthened internals, larger valves, and larger flat-slide carbs ensure that this elder statesman of British motorcycling goes as good as it looks.